We will update our website if we will be participating in COB Recruitment in the Spring, as well as the information for Formal Recruitment in the fall when it becomes available. Recruitment is your opportunity to take a look at our recognized Panhellenic sororities at ASU and allows you to learn what sororities are all about. If you're even slightly interested or curious, you should register to participate (see link below) in the sorority recruitment process. Just because you participate in formal recruitment does not mean that you have to join a sorority. All potential new members must register with the Office of Fraternity and Sorority Life to participate in fraternity recruitment. Freshman (first semester students) must have a cumulative high school grade point average of 3.0 to participate in sorority recruitment. Non-first year students (ex: Sophomore, Junior, etc.) must have completed 12 semester hours at Appalachian and must have achieved a cumulative grade point average of 2.65 to participate in Recruitment. 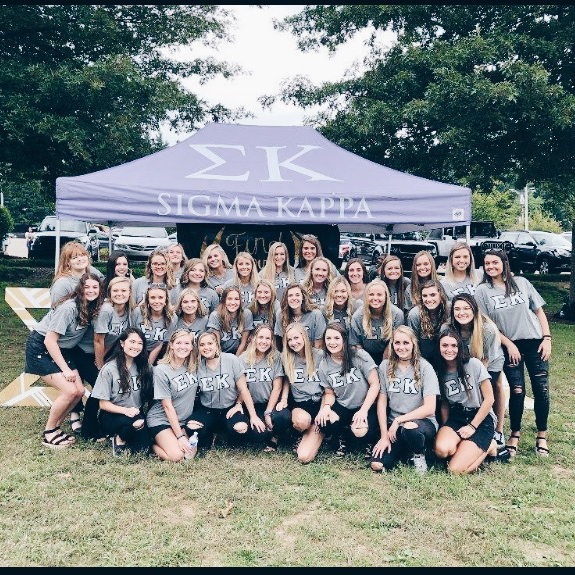 Transfers are eligible to participate in sorority recruitment their first semester at Appalachian and do not have a minimum grade point average requirement. All potential new members must attend an information session facilitated by the Panhellenic Governing Council.